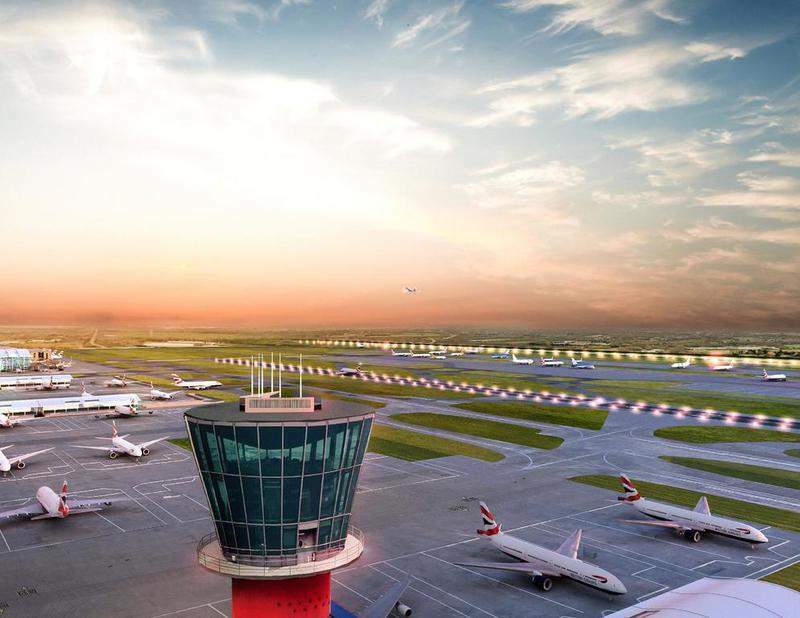 Artistic creation of an expanded Heathrow showing the view from the control tower. Credit: LHR Airports Limited. London Heathrow Airport has launched proposals for a shorter third runway in a public consultation after pledging to cut £2.5bn of costs. Over the next ten weeks, Heathrow will seek opinions on how to shape the airport’s future and serve local communities and the UK economy. The airport is also seeking ideas on options to deliver and operate an expanded airport, alongside principles of new airspace design. The consultation proposes to cut 300m from the length of the north-western runway which was approved by the government following the Airports Commission process. Potential locations for expanding the terminal infrastructure to the east of Terminal 2, west of Terminal 5 or a new satellite terminal by the new runway are included in the plan. The M25 motorway will need to be repositioned 150m to the west and lowered by 7m through a tunnel before the height of the shorter runway is raised so it passes over the M25. Changes to airspace will enhance resilience for passengers in addition to reducing noise level, emissions and the number of late-running flights for local communities. Heathrow believes that the consultation will enable it to address some objections ahead of a crucial parliamentary vote during the first half of this year on a National Policy Statement. The airport has also pledged to stay within air quality limits as well as proposing a six-and-a-half-hour ban on scheduled flights during the night. Heathrow expansion executive director Emma Gilthorpe said: “We want an expanded Heathrow to be the world’s best airport, ensuring that our country and its future generations have the infrastructure they need to thrive. The deadline for submitting feedback is 28 March.